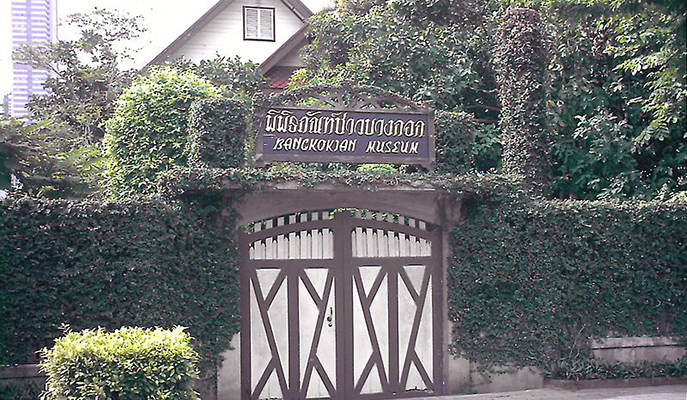 Glimpse the life of a typical middle-class family during the mid-20th century at the simple but charming Bangkokian Museum (Charoen Krung Rd Soi 43, +66 2 234 6741). It’s like stepping into a time machine — you’ll get to wander around immaculately preserved bedrooms, dining rooms and bathrooms, all adorned with antique furniture. This off-the-beaten-track visit offers a unique insight into the city’s history and culture. 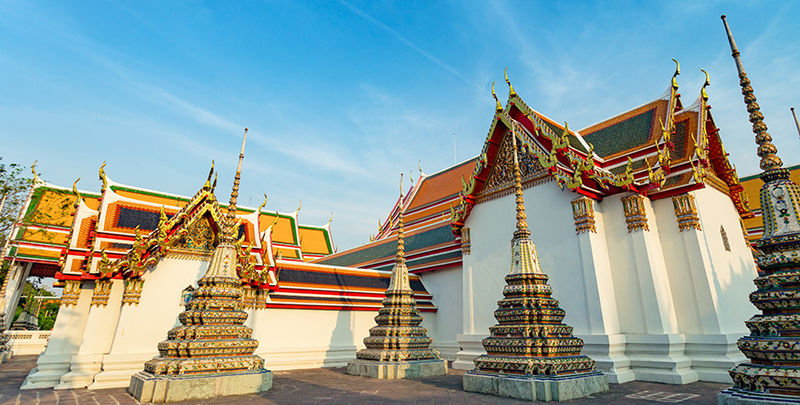 Bangkok is renowned for its magnificent temples that attract both religious devotees and architecture aficionados. While larger and more popular temples like Wat Phra Kaew and Wat Pho require admission fees, Wat Mahathat (3 Thanon Maharat, +66 2 222 6011) doesn’t. 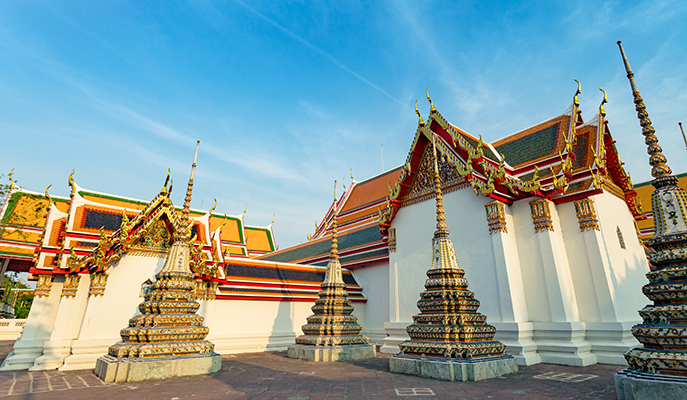 The temple, which is one of the oldest in Bangkok, functions as the headquarters of Thailand’s largest monastic order, and also offers free meditation classes (English classes are held daily, from 7am to 10am, 1pm to 4pm, and 6pm to 9pm). The Artist’s House (Soi Wat Thong Sala Ngarm, Phasi Charoen, +66 83 034 9858), also known as Baan Silapin, is a restored 200-year-old wooden house and community hangout where you’ll find art exhibitions, installations, craft demonstrations, printmaking and more. There’s even a café and souvenir shop selling art books and handicrafts. 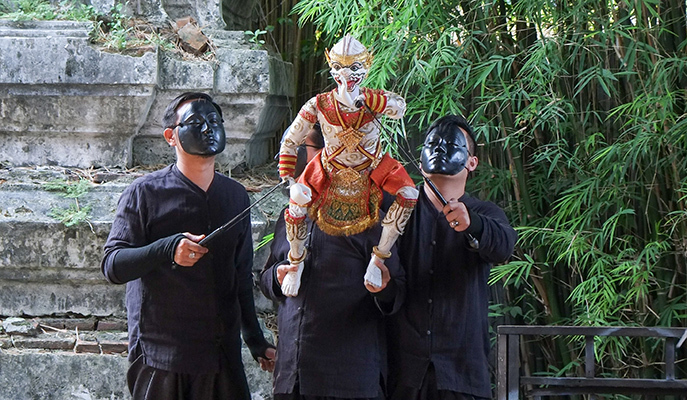 However, the house’s main attraction is undoubtedly its traditional Thai puppet show (2pm daily, except Wednesdays), during which artists manipulate intricately designed puppets to narrate Thai folklore. Marvel at the grace and power of Thailand’s national sport at a live show. Catch free fights at MBK Center (444 Phayathai Rd, Pathumwan, +662 620 9000; mbk-center.co.th) — MBK Fight Nights are held every Wednesday from 6pm to 8.30pm, and feature top fighters from all around the world. 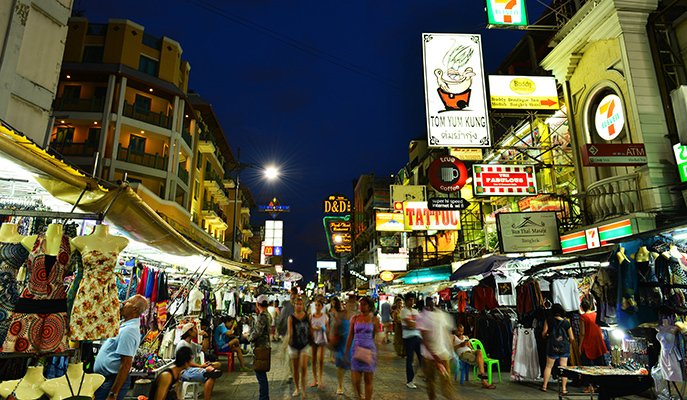 Lined with bars, hostels, massage parlors, shops and street-food vendors, Khao San Road (Banglamphu District) is a true backpacker’s haven. While shopping and eating aren’t free, you can always stroll the streets and soak in the various sights, sounds and smells without spending a cent. Remember to bring your camera! 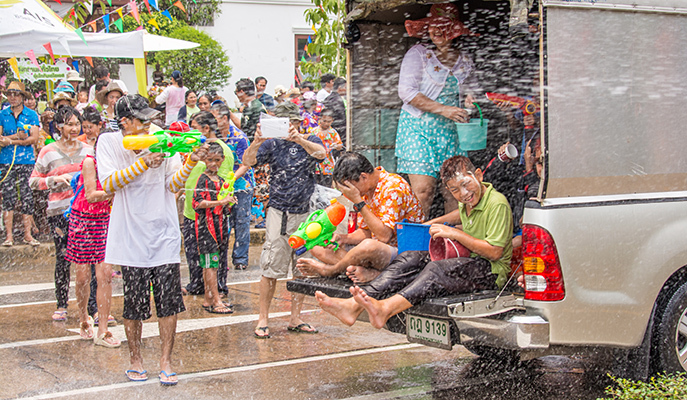 The Songkran (Thai New Year) celebrations take place from April 13 to 15 annually, during the hottest period of the year, when locals swarm the streets (major areas include Silom, Khao San Road and Sanam Luang) to welcome the new year by having no-holds-barred water fights. Visitors are always welcome to join in — while festival veterans usually sport fancy water guns, all you really need is a pail, some water and a spirit of fun. 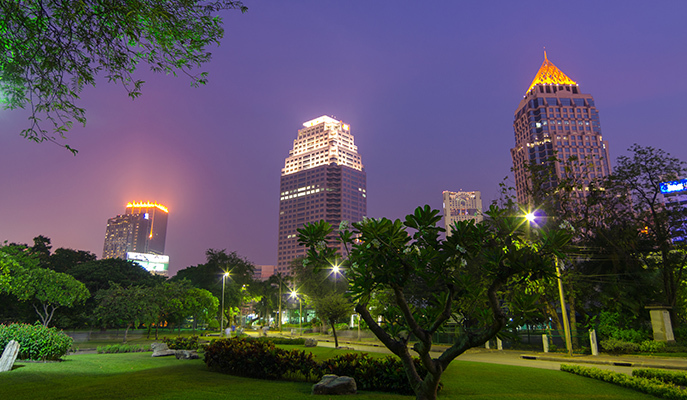 Located in the heart of Bangkok, Lumpini Park (Rama IV Rd, Pathumwan) offers much-needed respite from the city’s congested streets. Jog or cycle around the park, or enjoy a picnic under the canopy of trees. You can even rent a swan-shaped paddle boat for a cruise around the lake.